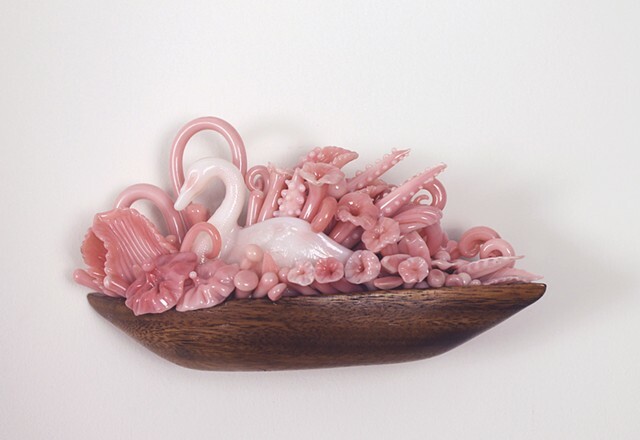 This piece was created out of a barrel of post-production cullet of a color called Rosalene (Fenton). This milky pink color was originally invented by Frederick Carder for Steuben Glass. Part of this installation is now in the permanent collection of The Shanghai Museum of Glass.